Magnum Hunts is pleased to offer hunters the opportunity to collect outstanding trophies of all of the South Pacific game animals. Your host and owner/operator of Magnum Hunts and Taxidermy, Paul Convery, is acknowledged as a Deer Hunting specialist with over twenty-five years hunting experience in five countries. Having collected many trophies of all the South Pacific species, your guide has the knowledge and expertise needed for you to be successful. Coupled with expert field preparation by a professional taxidermist, you can rest assured that no detail will be overlooked in the pursuit and care of your trophies. Having exclusive access to many private properties allows opportunities for hunters to collect a wide variety of trophy animals. Magnum Hunts is based in South Australia but hunts are conducted in many locations in Australia and overseas. 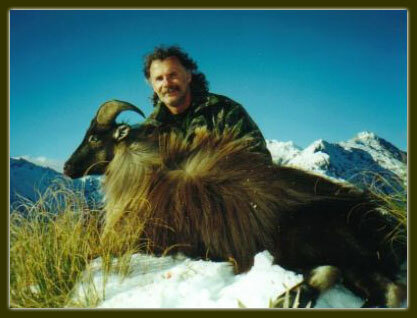 Over many years Magnum Hunts has gained a professional reputation for being able to collect the best trophies available. Many of our clients have been returning for years, and an extensive list of references can be supplied to any prospective hunter.